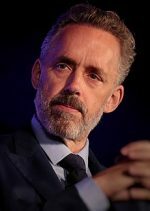 According to the New York Times, Jordan Peterson is the most influential intellectual in the Western world right now. His book “12 Rules for Life” is an international best seller. However, if you happen to be sympathetic to a fundamentalist type of Christianity you may not like it. Peterson comes over as agnostic when it comes to the question of the existence of God. Likewise, I would guess that, what the author finds to be enduring revelation in the book of Genesis, will irritate those non-religious readers who see the Bible as neither timeless nor true. I suspect Peterson’s popularity arises from his attempts to address the concerns and thinking of another type of reader. I’m thinking of those seeking after deep understanding of life who, coming from a Christian family culture, nevertheless question the religious beliefs of a previous generation. I would say it would be difficult to take exception to any of the rules of life prescribed. For example, ‘Stand up straight with your shoulders back’. ‘Treat yourself like someone you are responsible for helping’. ‘Pursue what is meaningful (not what is expedient)’. Unfortunately, it is not obvious that all what is written about each specific rule is actually relevant. He does give examples of where we should take responsibility, and honour moral obligations. And in discussing human difficulties, he does bring some sharp thinking to finding a better way forward in our lives. How your life improves by making sacrifices, by giving, by listening and generally by being part of something bigger than yourself. However, in my view, he does not really explain how his helpful observations relate to the theology he espouses. There are a lot of ideas that seem to wander off in their own directions. This is probably part of the reason the book doesn’t flow and is hard going for the reader. Despite one ‘rule’ per chapter, the book lacks structure. Peterson seems more comfortable with the notion of Being than that of God. This idea of Being is said to be different from objective physical reality. Yet, he uses the term Being rather loosely. In general, he is referring to the totality of human experience such as emotions, dreams, revelations, perceptions. Some of these are negative, chaotic, even harsh. At times however, he speaks of Being as essential goodness also characterised as irreducible truth that is relevant to everybody now and in the future. I would suggest that the theologian Emanuel Swedenborg’s idea of the spiritual world adds clarity here. According to this, there is a universal reality of love and wisdom that is a source for all that is good. It flows into all of life. This is an essence of divinity Swedenborg calls God. This spiritual energy is channelled into our world and inspires health, beauty and compassion. However, it can be turned upside down, by human beings, inverted so to speak, so that their opposites also appear i.e. disease, ugliness and contempt. Peterson contends that the early chapters in Genesis are written as a metaphor describing human psychology rather than actual events in history. In other words, they describe why our lot is so tragedy ridden and ethically torturous. He sees these chapters as a narrative sequence almost unbearable in its profundity. The spiritual message and psychological relevance of the picture of God is all true according to his way of thinking. He notes, however, this is the case whether there is, or is not, actually a God. The message being we are no longer one with what he terms God and nature, and there is no simple turning back. He thinks the original people represented by Adam and Eve were in a state of perfection, their goodness being something bestowed rather than earned. This appears to be in keeping with the idea of our human soul turning away from the reality of the divine source into the illusion of self-centeredness. Likewise, I would say that the Bible provides a prophecy of the soul’s reawakening and return to reality. The book implies that the human capacity for depravity and despicable behaviour legitimises the notion of ‘original sin’. This he acknowledges is very unpopular in modern intellectual circles. To my mind the notion of original sin is mistaken although I would say sin is real enough. But only if we regard it as our blocking the divine life flowing into us through wilfully going against it. We do this when we go against our inner conscience of what is deeply meaningful. The use of the word wilfully is in line with the idea of human free-will. Being inwardly free to choose between good and bad influences, we are responsible for our own conduct. Hence as Peterson points out, although many, perhaps even most, of the adults who abuse children were abused themselves as children, nevertheless the majority of people who were abused as children do not abuse their own children. People either like or hate this author. Those who favour nature over nurture, individual free-will and self-responsibility as well as a tough attitude towards woolly thinking, are more likely to take to him. But I think there is much of value here also for people who have a less conservative outlook. Far more than can I can mention in this short review. Theology – What use is it? Previous Previous post: Source of life – Gives hope in adversity? Next Next post: Deeper perception – What to do with it?